This commentary originally aired May 9, 2013. Fairy tales are a part of our shared cultural knowledge – if you refer to Jack and the Beanstalk, the Three Little Pigs, or Goldilocks, almost everyone knows what you are talking about. These stories can share many features: the damsel in distress, magic, fantastic creatures, royalty... 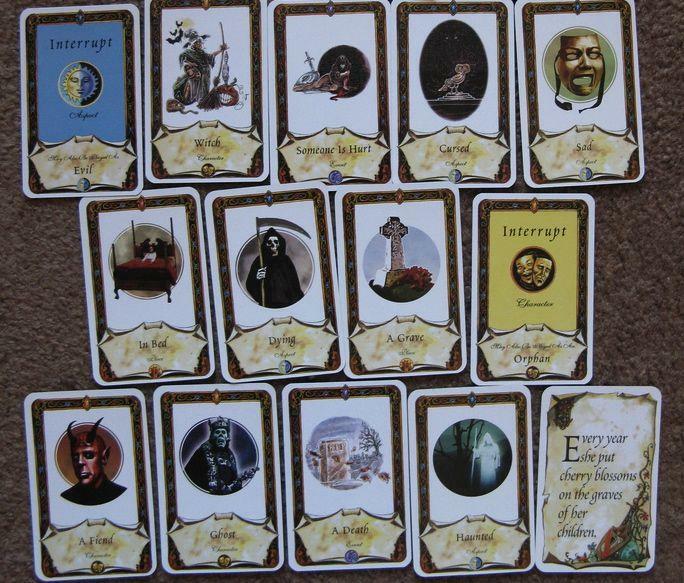 In the card game Once Upon A Time, you and a group of up-to-six other players set out to craft your own fairy tale. Each player gets a hand of cards, and each card represents something you might find in one of these stories – characters, scenes, events or ideas. One player starts off as the narrator. The narrator plays cards to tell the story, so you might start off by playing a Goblin card and a Wishing Well card, and say that this is the "Tale of the Goblin’s Well." You play until you start rambling or until you mention something that another player has a card for. For example, if you mention a village, and someone else has the Village card, they can play it and continue as the narrator from there. Although the game technically has a winner, the real point is to work together to tell a story. Players can be very creative and imaginative with how they build their fairy tale world. Once Upon A Time isn’t adversarial, and can move at any pace, so it’s good to play on a game night with the kids, or around a fire on a camping trip.